Arianespace’s Soyuz ST-B rocket is set to launch the first satellites that will act as pathfinders to a huge satellite constellation for OneWeb that is aimed at providing full global internet coverage. The launch is set to take place in a window that opens at 21:37 UTC at the European Spaceport in French Guiana. The rocket has suffered delays in the path to this launch, first with the discovery of a pinhole in the Fregat upper stage that has since been repaired. Then, a small slip occurred as Russian officials checked for commonality with the problem suffered by a Soyuz 2-1b launch of EgyptSat-A that successfully deployed the satellite but had problems during third stage flight. “Based on the positive results of analyses performed with Russian space authorities responsible for a Soyuz launch, Arianespace has taken the decision to resume preparations for its Flight VS21 OneWeb F6 mission at the Guiana Space Center,” Arianespace confirmed, as it gave the green light for the launch to take place. The Soyuz ST-B is based on the Soyuz-2-1a rocket, incorporating modifications specific to using Arianespace’s launch site, the Centre Spatial Guyanais (CSG), located near Kourou in French Guiana. Soyuz-2-1a is itself one of three modernized versions of earlier Soyuz rockets, derivatives of Sergei Korolev’s R-7 missile that have been used for Russian (and formerly Soviet) satellite and crewed spaceflight launches since the 1960s. Soyuz is a three-stage rocket, although the first and second stages fire together at liftoff. To reach higher orbits or perform more complex missions, Soyuz can be used in conjunction with an upper stage. For this mission a Fregat-M will be used to insert the satellites into orbit. Fregat is the most common type of upper stage flown on Soyuz; it is based on the propulsion systems of the Soviet Union’s late interplanetary probes and can restart its engine multiple times over a lengthy extended mission to ensure delivery of its payload into the required orbit. The Soyuz launch pad, Ensemble de Lancement Soyouz (ELS), was first used in October 2011 for the deployment of a pair of Galileo navigation satellites. Including the vehicle that is performing this mission, seven Soyuz ST-A and fourteen Soyuz ST-B rockets have departed Kourou. All but one of the Soyuz launched from Kourou – a Soyuz ST-B whose Fregat upper stage malfunctioned – have completed their missions successfully. 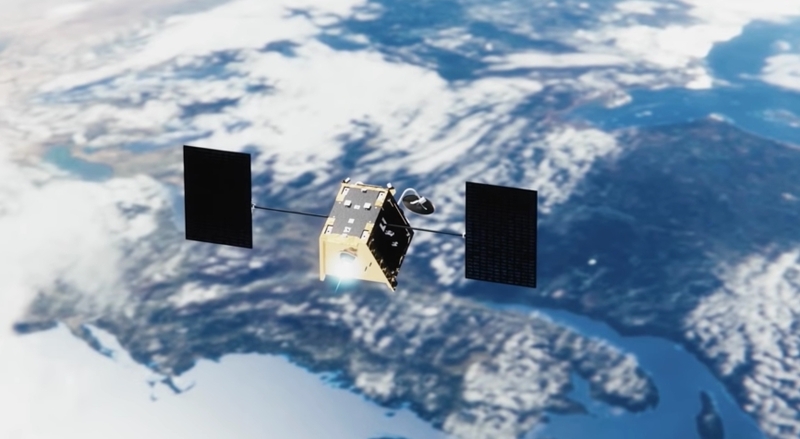 The Fregat will place the satellites into a near-polar orbit, with the OneWeb spacecraft operating at an altitude of 1,200 km., giving customers extremely low latency and providing communications access to the entire world with fiber-quality internet connectivity. They will operate in 18 planes of 40 satellites each, with an inclination of 87.9 degrees relative to the equator. The mission duration from launch to end of mission is just over 82 minutes. Run from London, OneWeb is building the world’s largest and highest throughput satellite system. To develop its constellation of satellites under 200 kg, OneWeb signed a contract with Arianespace in 2015 for 21 Soyuz launches and has also booked places on other launch providers, including Virgin Galactic’s LauncherOne. 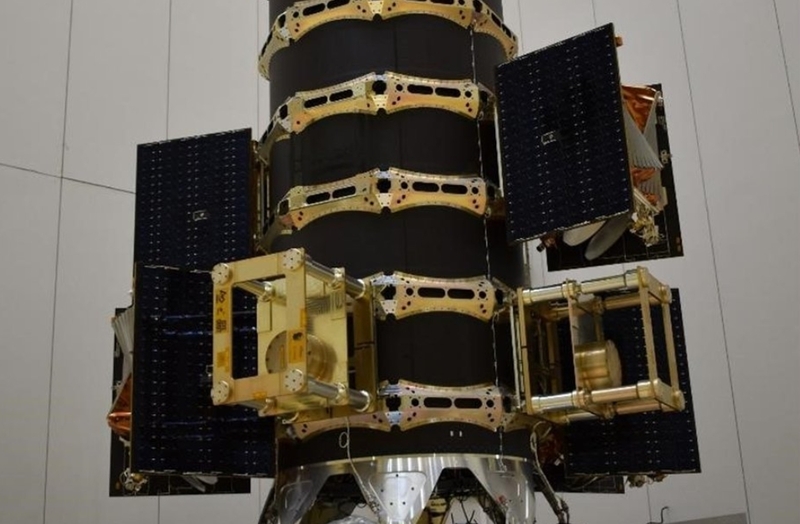 It has major backing, with Airbus Group, Bharti Enterprises, Grupo Salinas, Hughes Network Systems, (Hughes), a subsidiary of EchoStar Corp. Intelsat, Qualcomm Incorporated, The Coca-Cola Company and Virgin Group all investing in the project. For this first launch, six operational satellites and four “mockups” will be launched on the dispenser.